Home » Uncategorized » How Often Should I Float? One of the questions we are asked regularly is “how often should I float”? The short answer is that it differs for everyone and really depends on the individual. Some people float once a month, some float once a week, and others float multiple times per week. Here are some things to consider. In general, it takes a few floats to fully maximize the floating experience. As with any totally new experience, the first time you try it, you will largely be trying to figure it out. The second time you float you will better know what to expect and will be able to achieve greater disconnection. By the third float, you will be really comfortable, relaxed and fully open to receive the total experience. 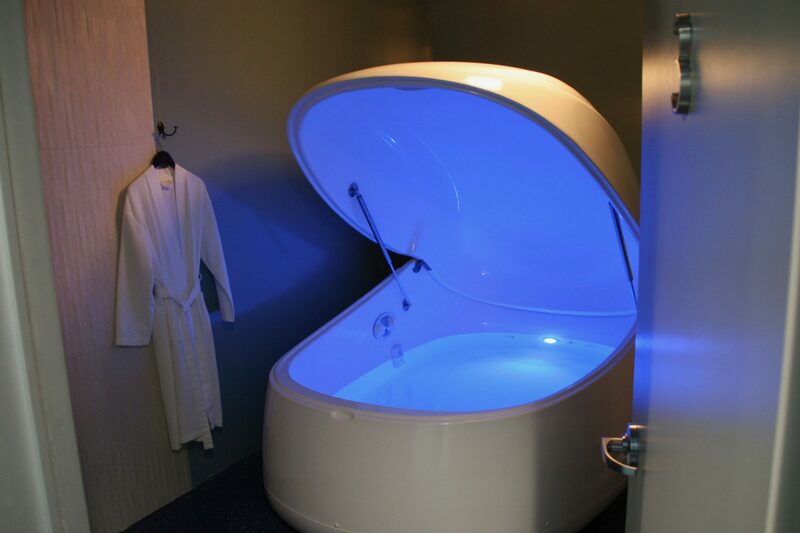 Over the course of your first three floats you may experience a detox effect where you feel relaxed and a little sleepy. In subsequent floats, you will transition to feeling relaxed, but energized. Floating brings your body back into balance. Someone who floats for pain relief will see results from being in the tank multiple times per week. After your sessions, you will be able to see for yourself how that makes you feel compared to or in conjunction with pain relief visits to a chiropractor, massage or physical therapist. For athletes, floating helps in two key areas: recovery and visualization. Floating helps the body recover from intense activity, workouts and training. Incorporating float sessions into your regimen can be an effective way of reducing muscle soreness, aiding circulation and completely relaxing muscles to aid in repair and rebuilding. Try adding a “recovery workout” float session to your routine every one to two weeks. Mental preparedness is key in any sport. Floating can be a very powerful tool for visualization and mental rehearsal, bringing about focus, readiness and anxiety reduction. Have a big competition coming up? Schedule a float early in your training to help you envision the goals in front of you. And on race or competition week, there is no better way to achieve your final state of readiness. People with high-pressure lifestyles and professions can see great benefit from floating once or even twice a week. Like a spa visit or yoga session, floating helps achieve a sense of calm and focus that is truly difficult to find in our daily lives. Incorporating floating into your weekly routine will bring both relaxation and rejuvenation as well as focus, clarity and needed balance. Give us a call and we’ll help customize a float program for you! Our membership package makes it easy and convenient to float on a regular basis. Be the first to know of special offers, discounts and new services at Peak Performance Float & Wellness Center!